Who's your favorite original member of the Sawyer clan? Which mask is your favorite? Which heroine is your favorite? Which one is your favorite of the series? Who do you think was the better leading lady role? Did you know that the Chainsaw Massacre films were based on a real event that happened a very long time ago? Does anybody know where I can find "Jason vs. Leatherface" comic books at stores in misquite, Texas? go to linkto see a cover of an issue if u don't know what I'm talking about. "Is anybody home?" Kirk called through the house, as he knocked on the open door. He took a step inside, looking around cautiously. "Hello?" The house seemed to be deserted. Suddenly, he heard a pig squealing-like noise coming from a back room. There was a blood-red wall covered in dead animal skulls. Something wasn't right. But Kirk's curiosity got the best of him and he wandered further into the house. "Hello?" He got closer and closer to the disgustingly decorated back room. Then it happened. Leatherface 3D is a sequel/reboot kinda like Halloween H20 or The Next Karate kid. Texas Chainsaw Massacre 2-The Next Generation never happened. It takes place, not in the plantum dunes universe but in the original universe. Leatherface is returning as Bubba not Thomas. 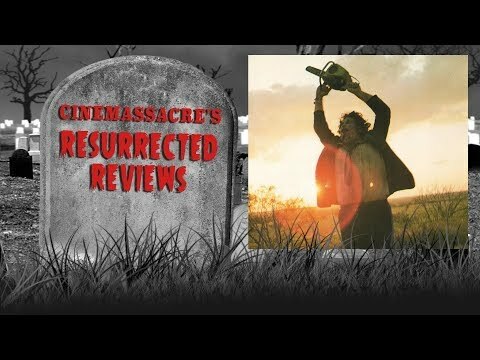 It starts off at the end of the Texas Chainsaw Massacre (1974) than fast fowards 35 years into the future. Considering the film takes place in 1974, 35 years could mean present day. Hopefully it won't have the sillyness of the original sequels and will have the seriousness as the movie it is a sequel to. In 2012, a 3rd installment in the Texas Chainsaw Massacre reboot/remake series will be released!! It will not be a Prequel but a sequel. It takes place 36 years into the future and will be titled "Leatherface 3-D." Unlike the remake and original it will (DUH!) not be based on a true story but could be a Sci Fi parody like other horror series keep on doing (Jason X, Leprichaun 4: in space, Dracula 3000: Infinite Darkness, Etc...). Hopfully it won't be as terrible as most horror Sci Fi parodies. Celebrating 2013s "leatherface 3-D" this gives you an idea of what it might be like. On which videogame console was there a videogame based on the Texas Chainsaw Massacre?